Choosing the correct software for your application is one of most important decisions to be made and mistakes can be very costly to your organization. For software that's right for your application, Ohio Identification Solutions is your expert source and can offer industry trained advice and first hand solutions experience to create a software system for optimum performance and longevity. 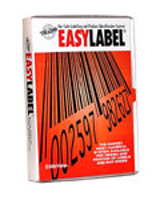 Whether you need a label design software package to manage and create shipping labels or you need a real-time Inventory management software system, Ohio Identification Solutions is here to assist you in making the right decision. A software solution designed for tracking fixed assets such as office furniture, computers, vehicles and other valuable assets in multiple locations. A software solution designed for real-time tracking of inventory levels for accuracy and increased efficiency resulting in time and cost savings. A software solution designed for tracking internal items such as tools, equipment, files and more allowing for increased accountability. A software solution designed for your organization. Customzied database integrations or front-end applications persoally designed for your unique requirement. For a software solution that's right for your application, Ohio Identification Solutions is your expert source with first hand solutions experience to create a system for optimum performance and longevity. Personal assistance from our software specialists is just a phone call or click away.